Tres Leches, as we all remember (don’t we?) from our high school Espanol) means “3 milks”. Tres Leches Cake is a traditional Mexican or South American cake, often served at special occasions. Typically, it is a simple sponge cake baked and then soaked in a mixture of 3 milks: sweetened condensed milk, evaporated milk, and heavy cream. It is decadent, delicious, and easy to make. I’ve made it once before, swapping one of the milks for something even more delicious. Seriously, where had this cake been hiding? It is incredible! I have had one lonely can of dulce de leche (which I make from sweetened condensed milk using this easy method) looking out at me from my pantry for several weeks now. This magnificent stuff is the key to my spin on the classic Tres Leches cake. 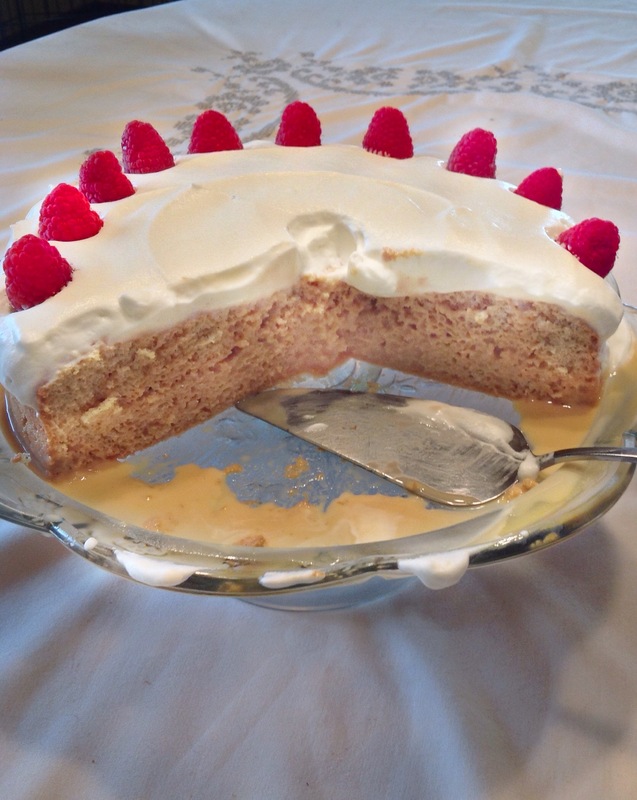 One of the loveliest blogs I follow, Aromatic Essence, featured Tres Leches cake a couple of weeks ago. Hmmm, should I make that? 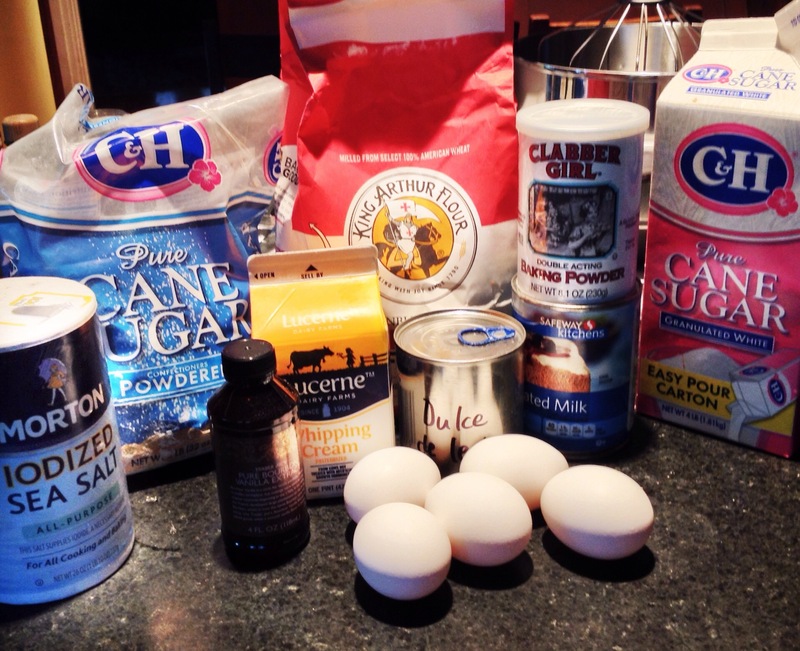 I was watching The Pioneer Woman on Saturday morning, and guess what she was baking? 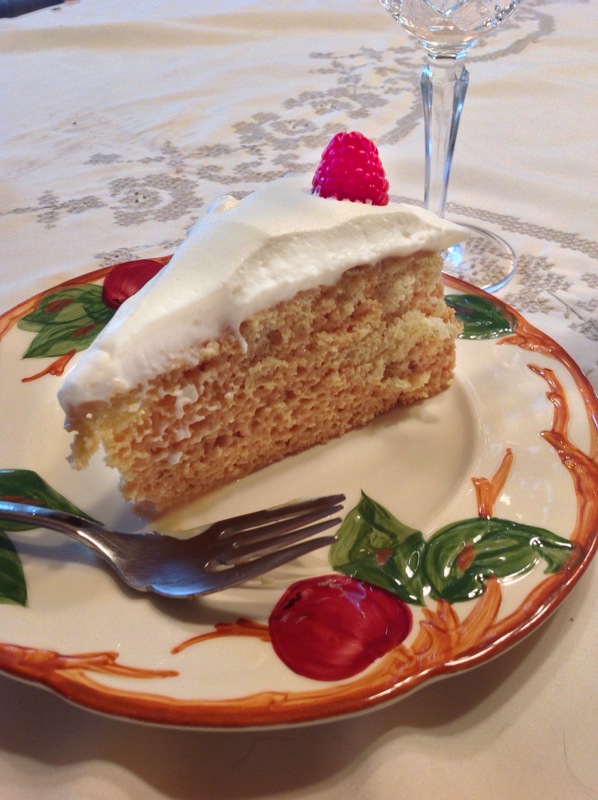 Individual Tres Leches Cakes, a lovely Piña Colada version. So, I answered the call and made the cake. Everyone should make this cake. It really is easy and trust me, you will want to lick the plate. It’s that good.